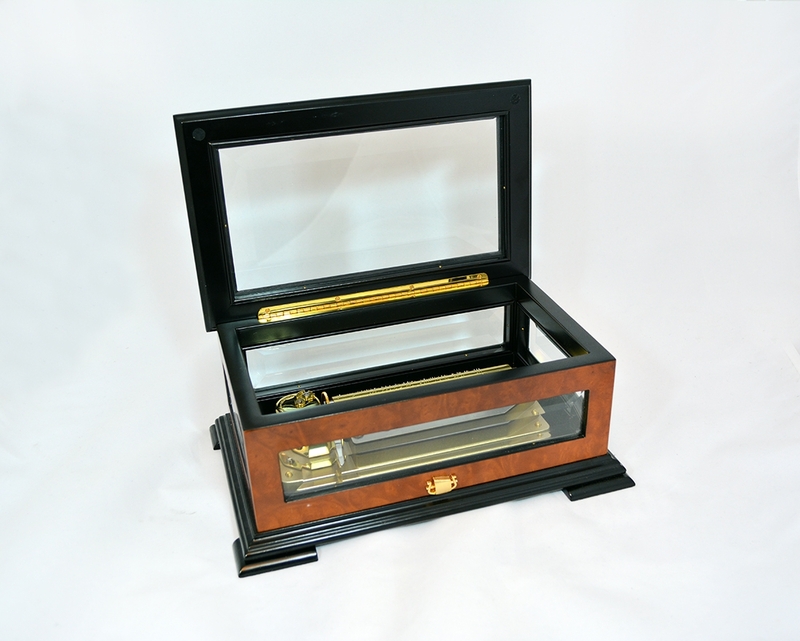 This beautiful box looks very different from the other once we have in our collection. 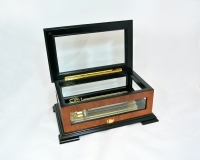 Made of high quality elm and crystal to create a box that is all about the music it plays. The music produced by this box is unlike anything you will hear from any other one. 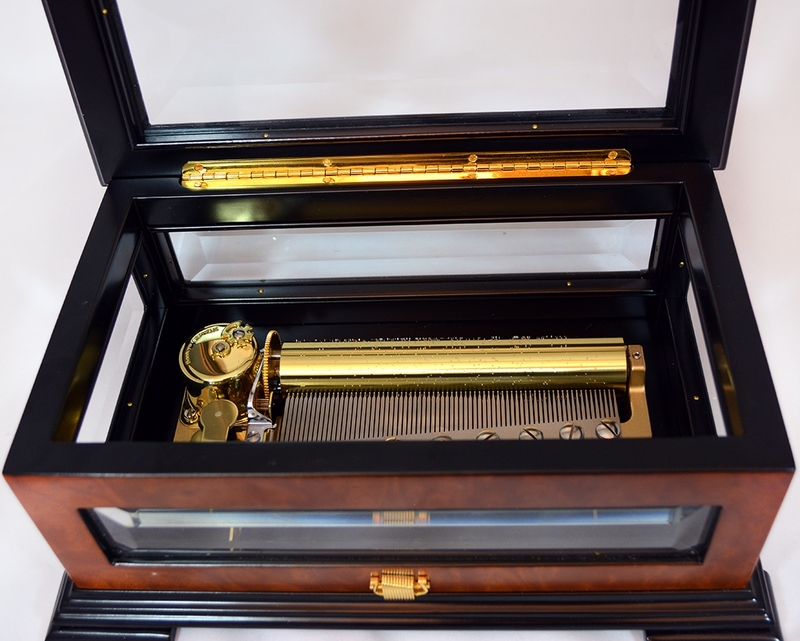 Because of the complexity of the movement, the music produced by this box sounds alike to a full key piano. Thiss matte handmade italian music box has two lids, one is the top wooden one, the other one is a crystal clear glass lid that allows to see the music box while it moves. 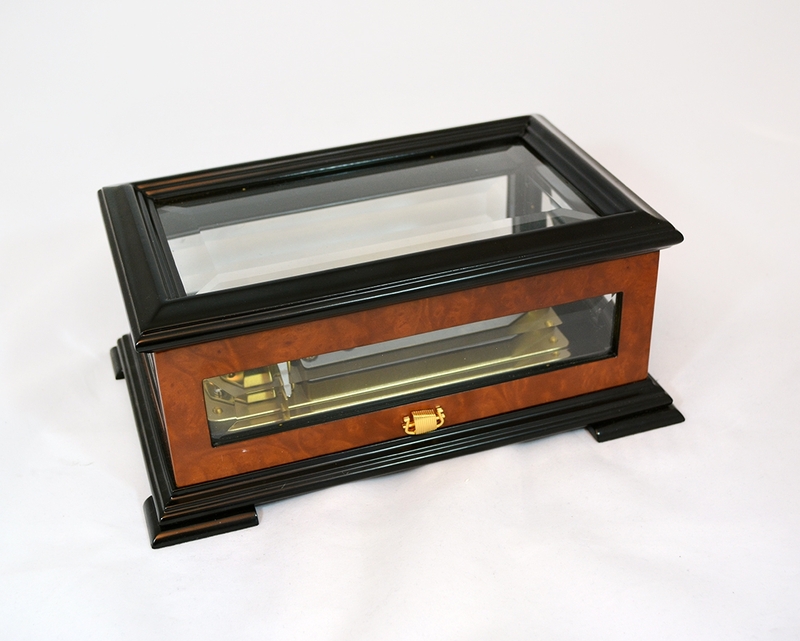 The wood used in this music box is solid high quality walnut burl formation. The burls yield a very peculiar and highly figured wood, prized for its beauty and rarity. It is sought after by furniture makers, artists, and wood sculpture.